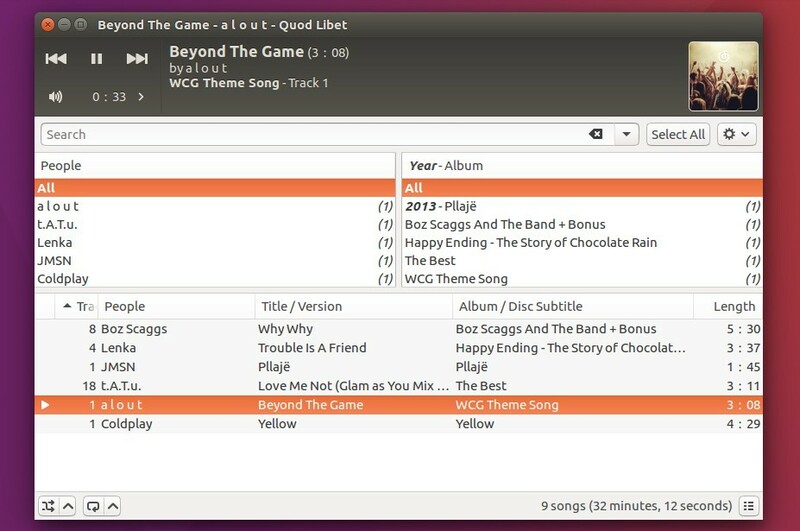 Quod Libet, a lightweight GTK+ audio player, reached the 3.9 release a few days. 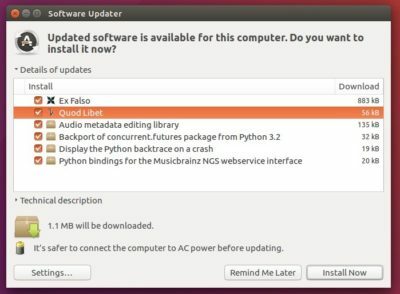 Here’s how to install it in Ubuntu 16.04, Ubuntu 16.10, Ubuntu 17.04, and derivatives. Quod Libet is a GTK+-based audio player written in Python, using the Mutagen tagging library. 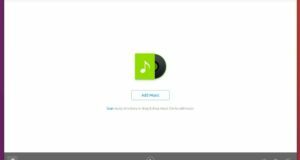 It scales to libraries with tens of thousands of songs. 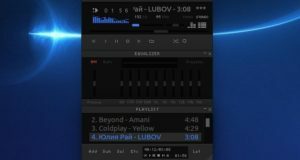 It also supports most of the features you’d expect from a modern media player: Unicode support, advanced tag editing, Replay Gain, podcasts & Internet radio, album art support and all major audio formats. And more, see the changelog for details. 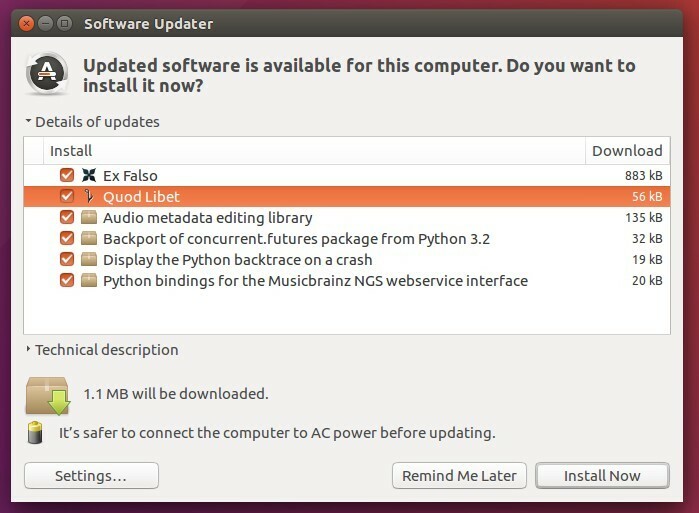 The official Quod Libet PPA has built the packages for Ubuntu 16.04 and higher. Type in password (no visual feedback) when it asks and hit Enter. To remove the PPA, go to System Settings -> Software & Updates -> Other Software tab.